Why do we drive Chevy's? Because they're so much fun. I'm a driver. I love getting behind the wheel and going on a road trip. It has been this way for me even before I had my driver's license. 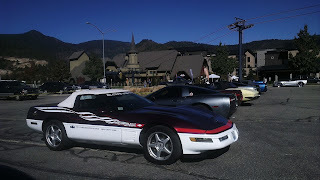 And Yes I have seen the USA in my Chevrolet and would do it again in a heartbeat given the chance. 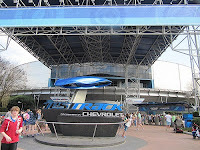 So you can only imagine how much fun I had this last month when I was able to join in on an out of this world Test Drive as a guest of Disneyworld and Chevrolet. 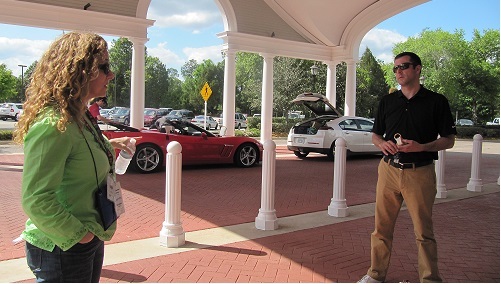 A group of the Travelingmoms from Travelingmom.com met up at the Yacht Club at Disneyworld and we were treated to an afternoon of test driving our favorite versions of the chevrolet lineup including the Chevy Corvette. 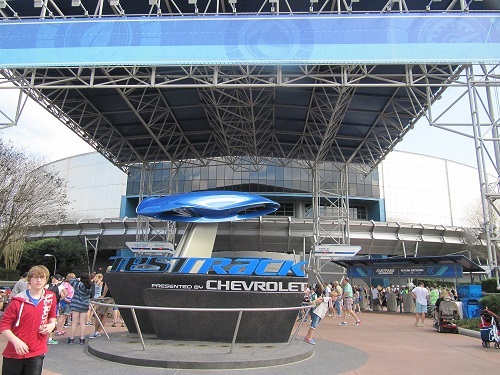 Later that day we went out to the Chevy Test Track at Epcot and experienced the design process and thrill of a simulated high speed test drive. 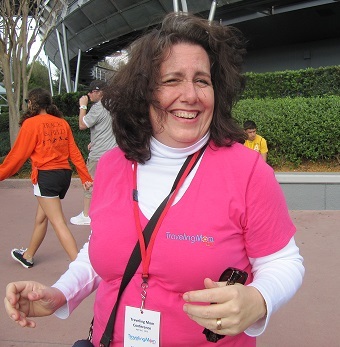 Thanks Chevy and Disneyworld for that very fun day. But the Travelingmoms aren't the only ones who love driving Chevrolets. Alex Smith, from Dave Smith Motors drives up to the Leadman Triathlon at Silver Mountain in one of his favorite Chevy Camero convertibles. Every summer the Corvette Club has a strong showing at Depot Days, a festival in Wallace Idaho. Almost every street in Wallace is taken over by vintage cars. 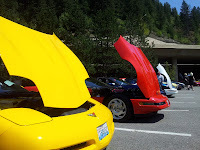 The Corvettes are lined up, hoods up, for everyone to come by and talk with their owner and exchange fun stories and memories of great times spent driving these beautiful cars. On another event the Corvette Club of Spokane visited Silver Mountain and filled the parking lot with row after row of beautiful automaking excellence. 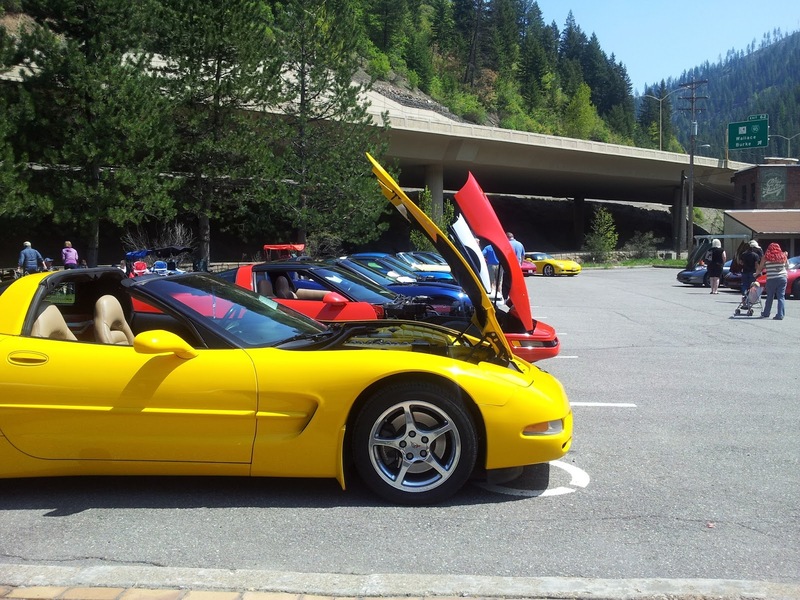 The only thing more fun than looking at these beautiful cars is driving one. 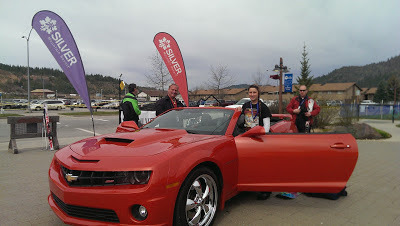 Seen here is my friend Maurine Karabatsos of QRGameplan.com behind the wheel at a full speed test drive on a closed course. You can see a short video of Maurine on the track on the QRGameplan facebook page. 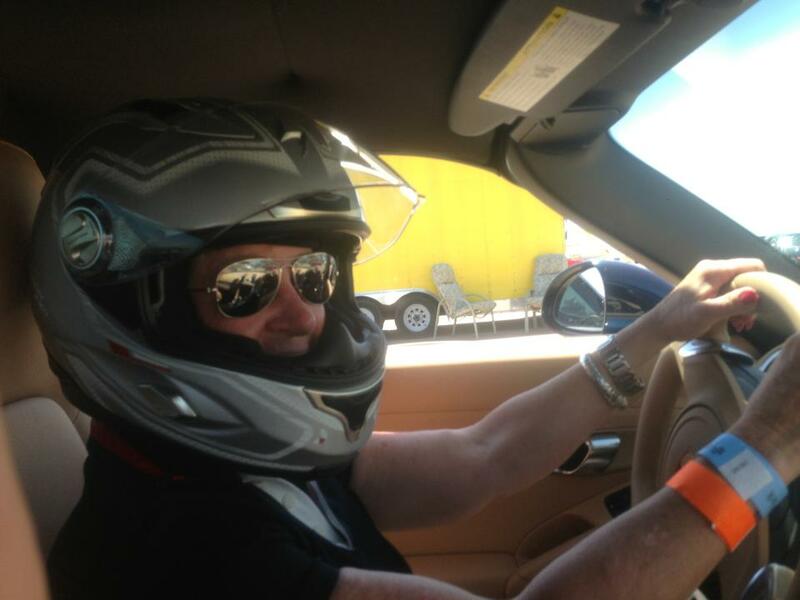 If you aren't as lucky as Maurine to get behind the wheel of a Corvette and go top speed you can still have fun with Chevy's by downloading the Chevy app. This app allows you to virtually visit a Chevy showroom and customize your favorite model comparing features. This is a pretty fun app even if you aren't shopping but just want to build your dream car. Finally, Beauty is truly in the eye of the beholder. Yes. 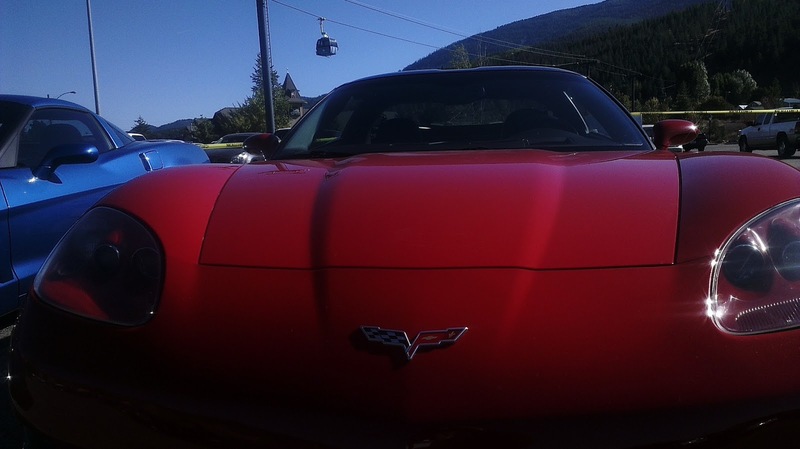 This is the front of my beautiful Chevy. With four kids, two dogs, friends of kids, and gear this Chevy has room for all of us AND a 40 gallon tank which allows me to get to where I'm going with fewer stops. This is the most beautiful Chevy in my opinion. Full Disclosure: Chevrolet provided the Travelingmom retreat participants with a travel stipend to attend the event and participate in the test drive. All of my opinions are my own. The Chevrolet Suburban pictured in this post was purchased years ago and that purchase was not influenced in any way by any perception of a possibility of a future small compensation by the Chevrolet company for a potential but unrequested blog post. This specific blog post was not compensated.